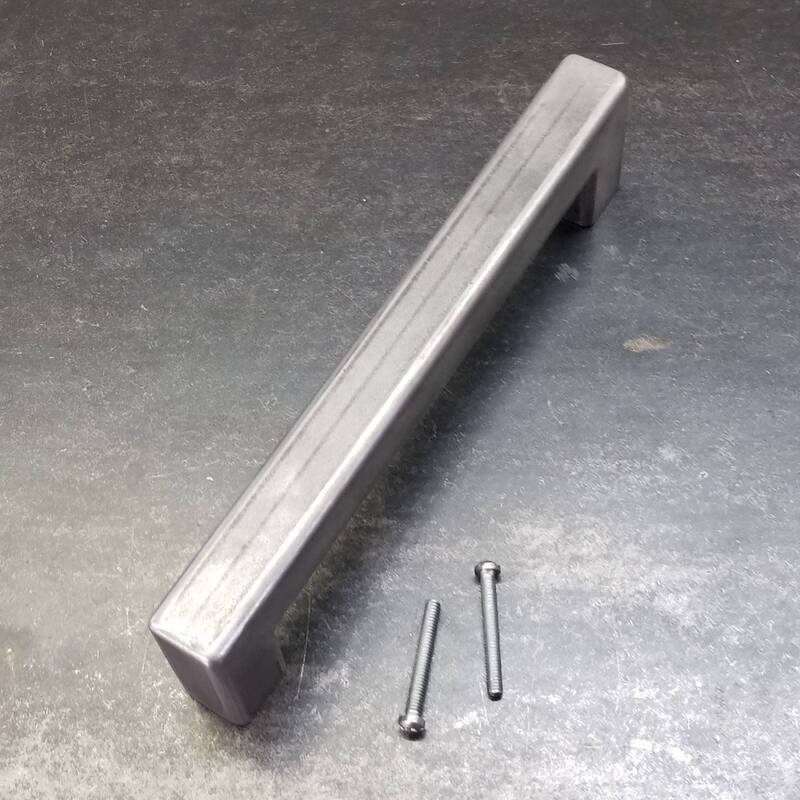 These industrial drawer pulls are made of 1-1/4" 0.100" thick structural grade hot rolled square tube. They are fully TIG welded and ground smooth. Drilled/tapped to 1/4"x20 SAE thread - comes with 2" screws. 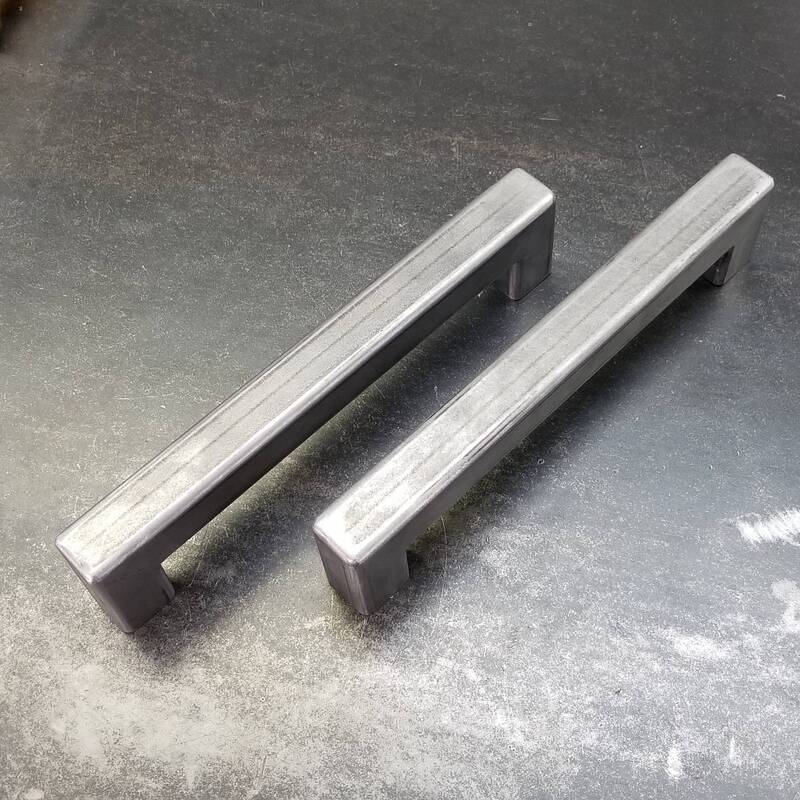 They will sit 1-1/2" from door face, and are finished in a high quality automotive clear coat to protect from rust - if you'd like them to rust, leave me a note with your purchase and I'll leave the clear off. This is for ONE pull only. The item pictured above is 12" long. Note: measurements are end to end. Subtract 1-1/4" from length for hole-to-hole spacing. If you need a specific spacing, be sure to get in touch before ordering. Excellent for commercial use. Suitable for exterior use with protective coating. These are fairly heavy, so, the shipping isn't super cheap. Sorry. ** If you're ordering a large quantity, please contact me directly - the shipping calculation doesn't work properly over 10 pieces and will ask for several arms and legs. Beautiful door pull. Chris was super responsive, able to incorporate a last minute change, and dealt with shipping issues that were entirely not his fault.